One of the major factors affecting overall satisfaction that nurses have with their career and pay grade is the continued struggle over the scope of authority that they can or should have regarding patient care and autonomous decision making. This article delves into Arizona nurses primary care autonomy. According to a survey of 972 clinicians in the New England Journal of Medicine, physicians and nurses perceive their primary care roles and skills—and their effect on costs and care quality—very differently from one another. 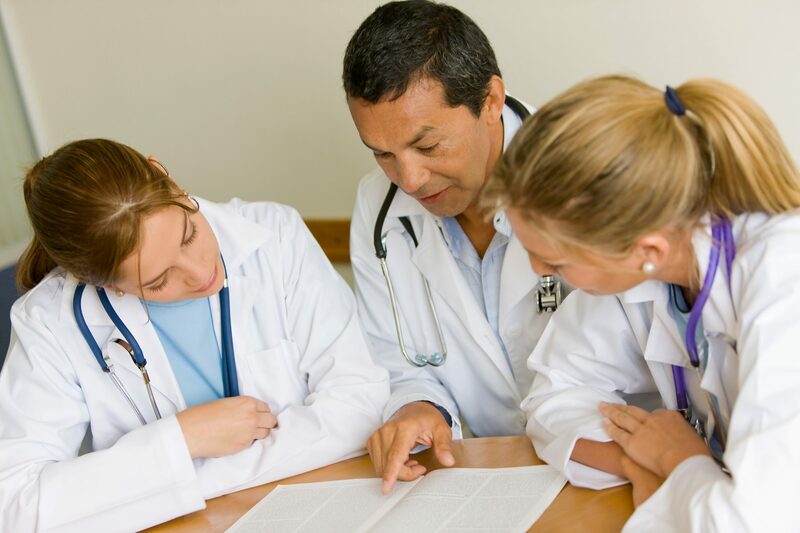 66% of the surveyed physicians believe that doctors provide “a higher quality of examination and consultation” than nurse practitioners (NPs), whereas greater than 75% of surveyed NPs disagreed with that assessment. Further, 77% of NPs said they believe that expanding their roles would decrease costs, compared to 31.1% of surveyed physicians. Additionally, the NPs were more likely than the physicians to believe that NPs should be in charge of medical homes and receive equal payment for the same clinical services as physicians. For their part, a member of the Medicare Payment Advisory Commission (MedPAC) said that advanced practice registered nurses (APRNs) and physician assistants (PAs) should receive equal Medicare compensation as physicians for performing higher-level services. Also, the president and chief executive of the Dean Health System in Madison, Wisconsin, Craig Samitt, M.D., recently suggested that doctor’s pay from Medicare should decrease 15% for services that APRNs and PAs can perform better, as well as increase pay rates for APRNs and PAs in rural communities to encourage growth of care in those areas. 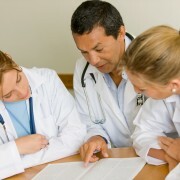 The 2012 Pearson Report in the American Journal for Nurse Practitioners shows that only 18 states and Washington D.C. nurse practitioners to diagnose, treat or prescribe medications without physician involvement (Alaska, Arizona, Colorado, Hawaii, Idaho, Iowa, Maine, Maryland, Montana, New Hampshire, New Mexico, North Dakota, Oregon, Rhode Island, Utah, Vermont, Washington and Wyoming). Another eight states do not require physician involvement for diagnosis or treatment, but they do require it for prescribing medications (Arkansas, Kentucky, Massachusetts, Michigan, New Jersey, Oklahoma, Tennessee and West Virginia). The remaining states (just under half of all states) require physician involvement to prescribe, diagnose or treat patients. Yet even in states where APRNs may operate independently of physicians they only receive 85% of what a doctor would be paid for a similar service. And in states where APRNs must work under physician direction the physician receives full payment at their regular fee schedule rate. There is no shortage concerns on both sides of this “turf war.” Naturally, many physicians are concerned with potential lost income and authority, and many fear that a lower quality of care will result because of care provided by less educated and trained health care professionals. On the other hand, primary care nurses can alleviate cost, access and quality concerns in the health care system. This is particularly true since physician shortages are expected to balloon even further as 30 million new patients receive federally-mandated health insurance coverage, expanding the need for professionals who can provide primary care services. Arizona affords relatively greater autonomy to nurses compared with most states, as indicated in the 2012 Pearson Report. Although the Centers for Medicare & Medicaid Services (CMS) recently expanded their medical staff definition to include APRNs and PAs, permitting nonphysician practitioners to have similar privileges as other medical staff members, these altered oversight rules and role definitions still require approval by the governing bodies that grant privileges. As the economic climate fluctuates, and the demand for both nurses and physicians correspondingly ebbs and flows, it will be interesting to see which states make the jump to allow greater primary care autonomy for nurses. One of the more interesting developments to come out of the economic recession is the affect it has had on nursing employment in the United States. More men have entered the nursing profession and more states have enacted legislation permitting nurse practitioners to provide primary care duties under certain circumstances than ever before. Yet despite these changes there are still debates and concerns centering on payment equality and job satisfaction, and erasing inequities between physician and advanced practitioner pay faces potent arguments and statistical hurdles from both sides. A recent report by the Robert Wood Johnson Foundation revealed the conflicting balance between nurses’ opinions of their jobs and of their salaries. 85% of surveyed nurses were satisfied with their jobs and 90% believe that they make a difference in their communities. On the other hand, 59% believe they are not fairly compensated, and 67% believe that their salaries are inadequate, with 56% believing that there are limited opportunities for promotion or other forms of career advancement. The survey notes that nurses have lower reported salary ranges than most state health department positions. A change in the gender dynamic of nursing has played a significant role. According to the U.S. Department of Health & Human Services, a Census Bureau study of the nursing profession revealed that the number of male registered nurses (RNs) more than tripled from 2.7% in 1970 to 9.6% in 2011, and the number of male licensed practical nurses (LPNs) and licensed vocational nurses (LVNs) more than doubled to 8.1% over the same period. Per Alicia Caramenico, editor of FierceHealthcare, “the influx of men into the profession… could provide welcome relief, given research suggests the nursing shortage will reemerge as the U.S. economy improves,” citing a November study in the New England Journal of Medicine. However, although women still dominate the profession at 91% of all nurses in 2011, men out-earned their female counterparts by an average of $60,700 to $51,100. Further, men were more likely to be nurse anesthetists (41%), which pays more than twice that of other nursing fields ($162,900). While this is smaller than the gender pay gap in other professions, medical professionals are concerned at the continuation of this disparity. The Public Health Nursing Workforce Advisory Committee recommends further research into how health care reform affects public health nurses regarding their functions, responsibilities and education requirements. This in turn may illuminate reasons for pay discrepancies and could help eliminate the gender gaps where they are truly inequitable. Identifying where there is a need for more training and professional development opportunities may also help. Please contact Chelle Law with any questions regarding Arizona Nurse Pay Inequality at 602.344.9865. The phrase “hit and run” nursing comes from Peter Kilborn’s 1998 The New York Times article concerning cost-efficiency tactics in health care systems, and specifically addresses the type of fast-pace patient care that can lead to “mistakes, abuses and oversights.” Peter Kilborn, “Nurse Put on Fast Forward in Rush for Cost Efficiency,” N.Y. Times, at 24 (Apr. 9, 1998). His piece explores the intersection of nurses and their employers and how they differ with respect to workload, patient care and other aspects of managed care. It highlights what Thomas E. Bender and Christina M. Hanna discuss in the Health L. Handbook: the effects of understaffing and mandatory overtime on nurses and the nursing profession overall. 2005 Health L. Handbook § 11:6. This can be a particularly troubling aspect of employment for Arizona nurses in that “an RN’s refusal to work overtime may lead to charges of patient abandonment, which could lead to an eventual loss of their license.” Id. 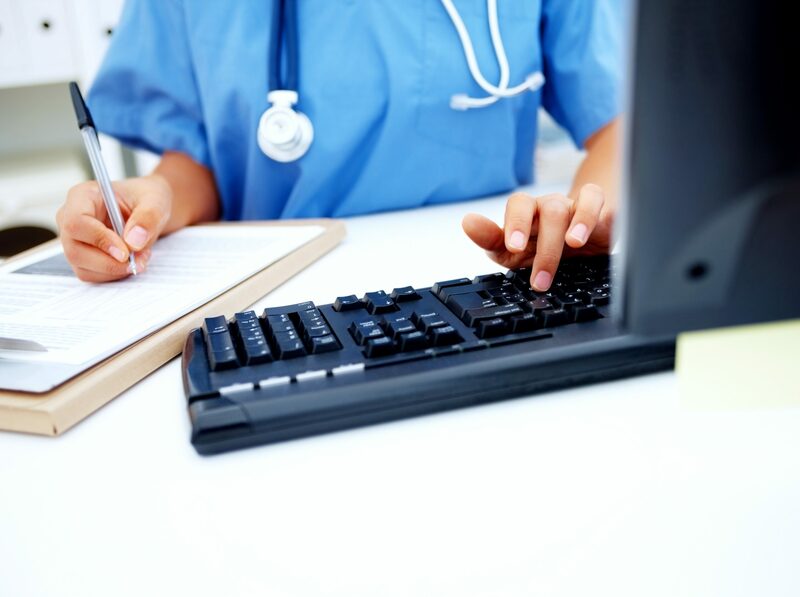 It is therefore important for RNs (and other similar medical professionals such as LPNs) to understand the risks associated with understaffing and mandatory overtime. 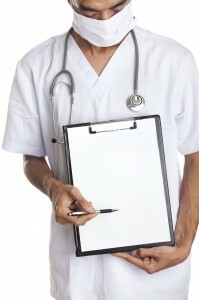 The Joint Commission, through advice from the Patient Safety Advisory Group, issued an alert at the end of 2011 concerning health care worker fatigue and patient safety, the highlights of which should be read and understood by anyone providing medical care or assistance under a board-issued license in Arizona (and nationally, for that matter). The Joint Commission, “Health care worker fatigue and patient safety,” The Joint Commission Sentinel Event Alert, Issue 48, December 14, 2011. Fatigue has a broad range of potential risks, including the increased possibility of adverse events and compromised personal and patient safety and well-being. The primary culprits in these cases are insufficient duration of sleep and poor sleep quality for an extended period of time. 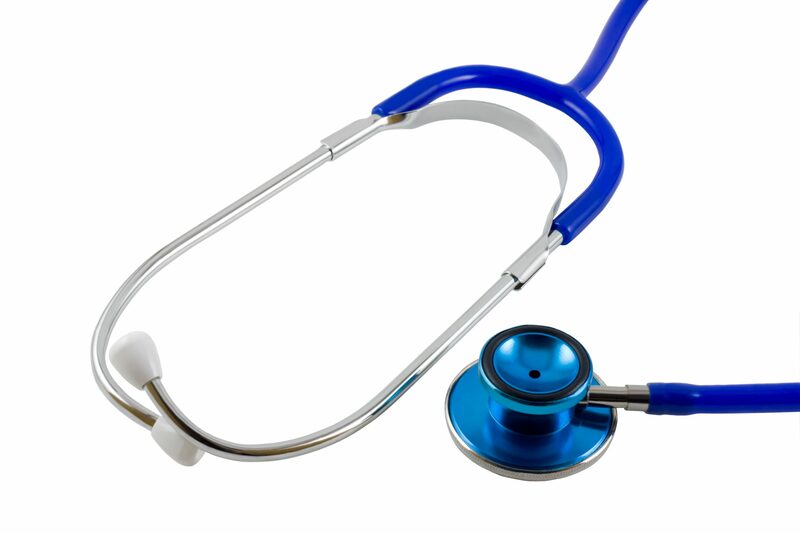 When a nurse is fatigued there is a greater likelihood of a number of potential problems, including (1) lapses in attention and/or memory, (2) lack of focus, (3) the inability to problem solve effectively, (4) confusion, irritability and diminished reaction time, (5) impaired ability to communicate, (6) feelings of indifference and/or loss of empathy for patients, and/or (7) slowed ability to process information and to make sound judgments. A number of studies have shown that ultimately the longer a shift length is the greater the risk of errors, close calls and injuries to nurses themselves because of decreased vigilance. Rogers AE, et al: The working hours of hospital staff nurses and patient safety. Health Affairs, 2004; 23(4):202-212. For more information about empirical studies concerning residents working on recurrent 24-hour shifts, see the footnotes section of the Joint Commission’s Alert. 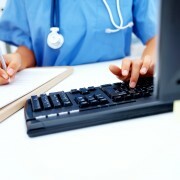 Based in part on studies conducted by NASA about sleep deprivation, the Joint Commission makes several recommendations for employers to reduce problems associated with nurse fatigue, and nurses themselves should be aware of specific scientific strategies they can adopt that might conform to the other rules of employment as best they can. Such a “fatigue management plan” may include engaging in conversations with others (not just listening and nodding), doing something that involves physical actin (even if it’s just stretching), making use of strategic caffeine consumption, and taking short naps lasting less than 45 minutes in duration and only if permitted by the employer. Rosekind, MR, et al: Crew Factors in Flight Operations XIV: Alertness Management in Regional Flight Operations Education Module. National Aeronautics and Space Administration, February 2002, (accessed June 10, 2013). Ultimately, however, the only way to effectively counteract severe sleep deprivation is to sleep. Rosekind, MR, et al: Fatigue Countermeasures: Alertness Management in Flight Operations. National Aeronautics and Space Administration, Southern California Safety Institute Proceedings, Long Beach, Calif., 1994, (accessed June 10, 2013). It is exciting to think how far medicine will progress in the next few decades. In a new study, published in Science Translational Medicine, Dr. John Kheir from Boston Children’s Hospital and colleagues have developed microparticles filled with oxygen gas that can be injected directly into the bloodstream. The particles release oxygenated gas that can keep organs, such as the brain, from suffocating. Here is a link to the story from ScienceNow. The Arizona Board of Nursing (“Board“) has recently instituted a new policy regarding what information is displayed on the Board Website’s Online Verification. The new policy holds that the Online Verification will no longer display “Complain/Self-Report” or “Under Investigation” next to a nurses name until after the Board has heard the nurse’s case at a Board Meeting. Previously, as soon as a complaint or self-report was submitted to the Board the website would immediately update to show that the nurse was under investigation by displaying “Complaint/Self-Report” next to a nurse’s name. This practice made it difficult for a nurse to obtain new employment due to the uncertainty of the Board investigation. The nurse would be forced to explain the situation to potential employers, and very few health care facilities in Arizona are willing to employ a nurse under investigation. Even if the nurse was completely innocent of the allegations contained in the Complaint; it still proved difficult to find new employment. The new policy provides the nurse with the benefit of the doubt until the investigation has gone before the Board for an initial decision regarding whether disciplinary action will be levied against the nurse or not. Although this is a positive development for the nurses of Arizona it is important that all employment applications submitted to potential employers contain accurate information! If you were terminated from a position do not state that you left on your own accord. The Board does not look favorably upon individuals that are untruthful on employment applications! If you have any questions regarding the new Arizona Board of Nursing Online Verification policy please contact Attorney Robert Chelle. In 2010 the state of Arizona made a slight change to SB1096 and Arizona Revised Statute (A.R.S.) § 13-604(A). The change allows the Board to treat an undesignated offense that occurs/occurred after 23 July 2010 as a felony until the court actually enters an order designating the offense a misdemeanor. If you have questions regarding how a past or present felony conviction can affect your status with the Arizona Board of Nursing contact us today. A celebration at a bar with friends may sound like a great night out but it can quickly spiral into an extremely stressful and exhausting experience if you get slapped with a drunk driving arrest because you made a poor decision to get behind the wheel while under the influence. Driving while under the influence can lead to some serious repercussions such as fines, license suspensions and even jail time. 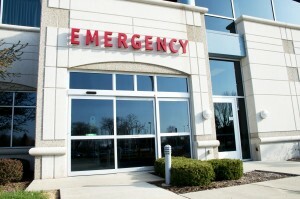 For medical professionals, however, the repercussions could cost you your career. All health care professionals are required to report any drunk driving charge to their Board within ten (10) business days after the date of the charge. 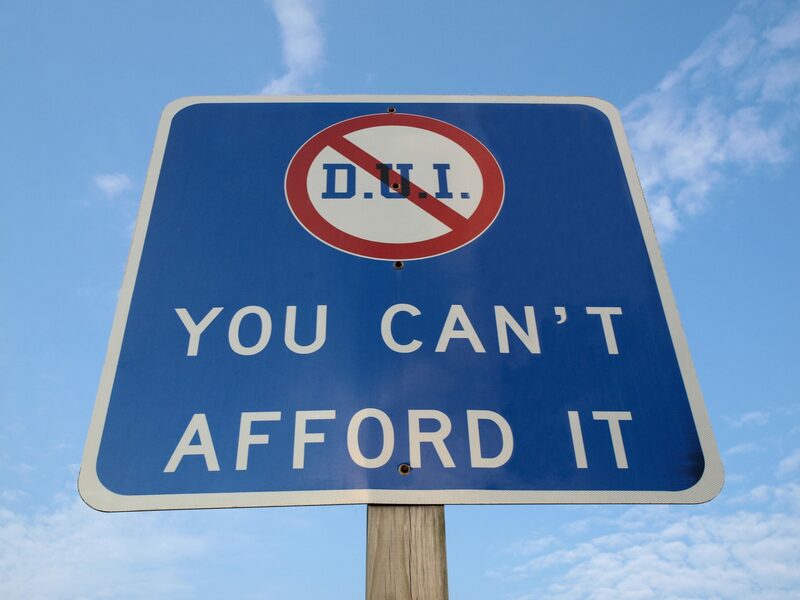 By being proactive, you can mitigate the collateral damage caused by a misdemeanor DUI conviction. The notification must be a written report and it must paint the incident and the medical professional’s background in the best possible light. Once the Board has received this written report, they are required to open an investigation which will include an in-person interview with a trained investigator for the Board’s investigation department. 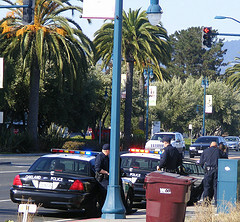 Holding a health care license exposes you to an increased risk of negative collateral consequences in comparison to the other drivers on the road, however if you are a licensed medical professional and charged with a DUI, it is crucial to take the necessary steps to minimize any potential disciplinary action from the Board. Disciplinary sanctions may be imposed against you if you are convicted the penalties may fine, community service, probation or even a suspension or loss of your medical license. If you are a medical professional charged with a DUI, it is essential that you hire an experienced attorney who can help you understand your case, your rights, and help you protect your future and your medical career. An Arizona dispensing optician who is charged with a DUI not only has to worry about the criminal consequences, but the professional repercussions with the Arizona Board of Dispensing Opticians (“Board”) as well. 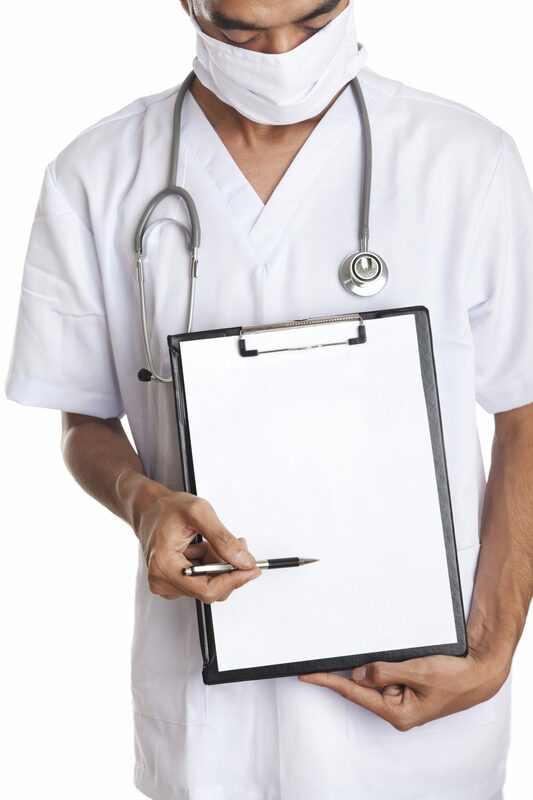 Arizona law holds that any health professional who has been charged with a misdemeanor involving conduct that may affect patient safety (this includes a DUI) must notify their licensing board in writing within 10 business days after the charge is filed. 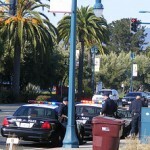 Being charged with a DUI is an offense that every dispensing optician should take seriously. The best advice I can give is to contact me immediately. Losing your driver’s license is one thing, but losing your professional license is something that must be avoided at all costs. If you have been charged with a DUI and are concerned about the repercussions it will have with the Arizona Board of Dispensing Opticians contact Attorney Robert Chelle. An Arizona podiatrist who is charged with a DUI not only has to worry about the criminal consequences, but the professional repercussions with the Arizona Board of Podiatry Examiners (“Board”) as well. Arizona law holds that any health professional who has been charged with a misdemeanor involving conduct that may affect patient safety (this includes a DUI) must notify their licensing board in writing within 10 business days after the charge is filed. Being charged with a DUI is an offense that every podiatrist should take seriously. The best advice I can give is to contact me immediately. Losing your driver’s license is one thing, but losing your professional license is something that must be avoided at all costs. If you have been charged with a DUI and are concerned about the repercussions it will have with the Arizona Board of Podiatry Examiners contact Attorney Robert Chelle. An Arizona acupuncturist who is charged with a DUI not only has to worry about the criminal consequences, but the professional repercussions with the Arizona Acupuncture Board of Examiners (“Board”) as well. 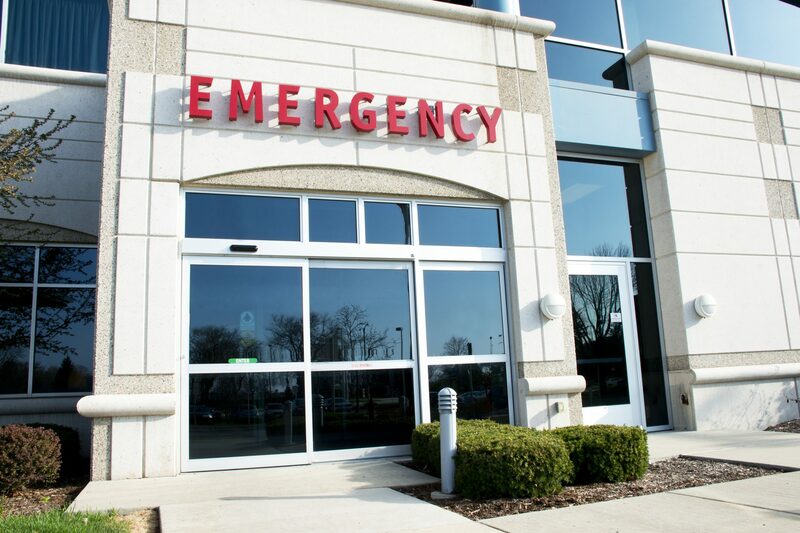 Arizona law holds that any health professional who has been charged with a misdemeanor involving conduct that may affect patient safety (this includes a DUI) must notify their licensing board in writing within 10 business days after the charge is filed. Being charged with a DUI is an offense that every acupuncturist should take seriously. The best advice I can give is to contact me immediately. Losing your driver’s license is one thing, but losing your professional license is something that must be avoided at all costs. If you have been charged with a DUI and are concerned about the repercussions it will have with the Arizona Acupuncture Board of Examiners contact Attorney Robert Chelle.